1/4 x 2 x 2 in. "I AM SECURE! 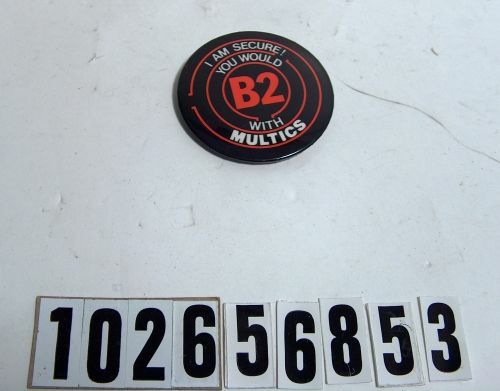 YOU WOULD B2 WITH MULTICS" is printed on the button.